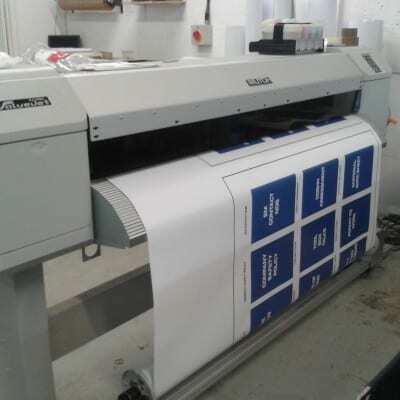 We can produce any size of print up to 1500mm wide at 1440 dpi. Using the latest technology and UMS UV resistant inks for a long lasting solution to your signage needs. 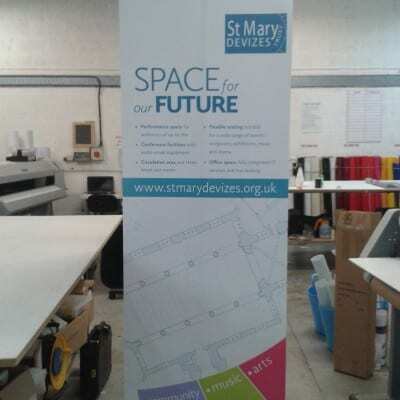 Our banners are a high quality fire rated material and can be produced at any size on either 440 gsm or 550 gsm thickness. Seams and eyelets come as standard. Whatever your requirements we have the pull up exhibition banner stand for you. 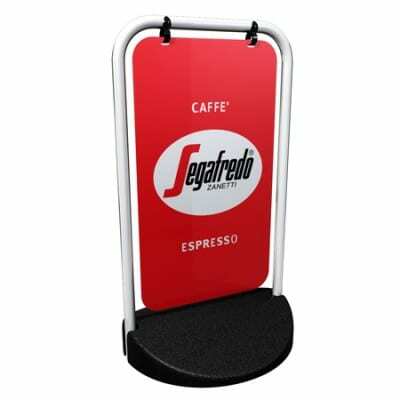 All our stands have a high quality non curl insert & include an over the shoulder carry bag for easy transportation. 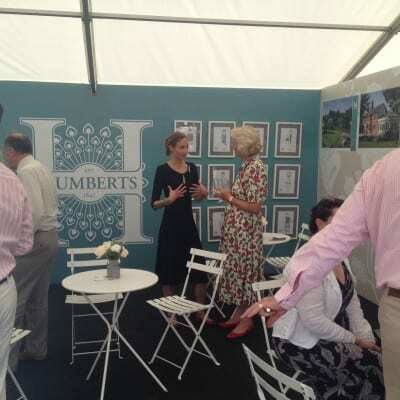 From small local events to large scale national events we can supply the ideal signage solution to suit your requirements. 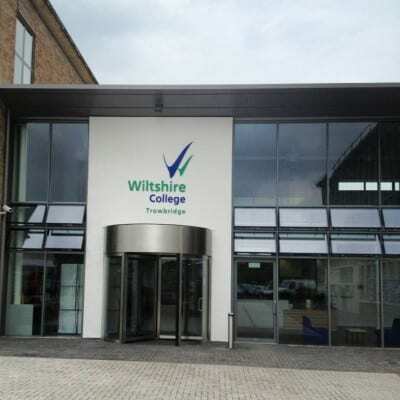 We can produce anything from a small door sign up to a large fascia. Our experienced team can also provide a fitting service if required. 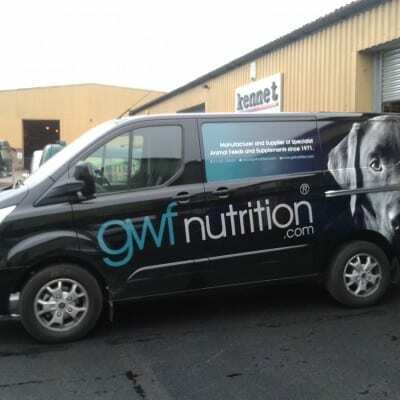 With years of experience our trained team can help turn your vehicle into a powerful eye catching advertising tool. Whether it’s a full or partial vehicle wrap or vehicle livery of any description, talk to us about what we can do. With a huge selection of A Boards to choose from, we are sure to have the right pavement stand for you. 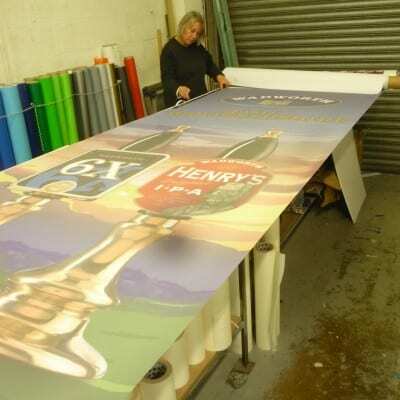 Short to long runs using good quality self adhesive vinyl, all printed using UV resistant inks. 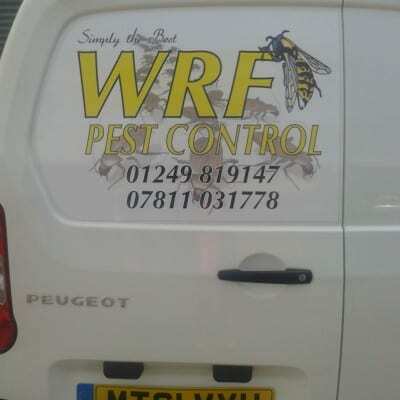 Magnetics provide a flexible solution to vehicle graphics, which can be easily removed when not required. 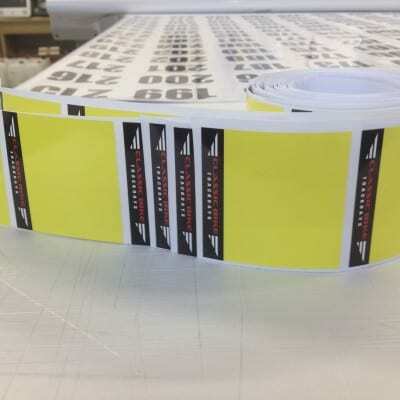 We only use high quality magnetic material, with a speed rating of 80mph. 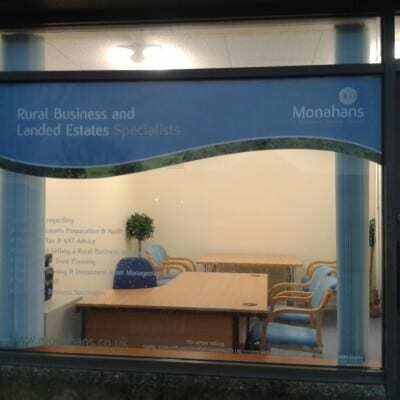 Whether you want full colour printed graphics, frosted etched glass or cut vinyl lettering, we can produce windows signage to make your premises stand out from the crowd. With over 30 years experience in traditional sign writing, we can produce something unique and bespoke to suit your requirements.